When news of the Exxon Valdez oil spill broke in March of 1989, the slow and inadequate corporate and government response to the disaster ushered in a new wave of leaders in the environmental movement. One of these new visionary leaders was the late Joan Bavaria, the driving force behind the Boston-based CERES, which was founded in 1989 to advance what was then viewed as a sweeping 10-point code of environmental conduct that became known as the CERES Principles. In ancient Rome Ceres is the goddess of agriculture, charged with guarding humankind’s survival. In the wake of the Exxon Valdez disaster, Joan Bavaria and the CERES team began to build a movement to do just that by creating a new way to hold companies to higher environmental performance and disclosure standards and to provide market based incentives to spur innovation and environmental leadership. Joan worked tirelessly to build a first-of-its-kind multi-stakeholder coalition comprising environmental organizations, corporations, faith-based institutions and institutional investors all working to find new collaborative solutions. Five years later another oil company, Sun Oil, had an entirely different view on this when it broke ranks with the Fortune 500 and surprised everyone to become the first large company to join with CERES. The CEO of Sunoco, Robert Campbell, said at the time that his company and members of CERES developed trust for each other and realized that their goals were similar. “Their goal and our goal did not seem so far apart,” Campbell said. “The Sun Company decided that by signing the CERES principles they would be placing themselves at the forefront of business’ role in protecting the environment.” Bob Campbell displayed true leadership and willingness to ignore pressure from his CEO counterparts, who at the time were angry at him for joining with environmentalists. CERES continues to play an important role and is focusing on steering investor assets toward companies demonstrating a commitment to sustainability and improved environmental performance and away from more risky laggards. The original reporting framework CERES designed in the early 1990’s evolved into the Global Reporting Initiative, the de facto standard for corporate disclosure of sustainability information used by 1,500 companies worldwide. New initiatives are emerging today to tackle the new paradigm and the hard choices associated with our addiction to oil. Earthster, for example, allows companies to quickly assess the environmental impacts of thousands of household products. And consumers now have a new resource in Good Guide that rates over 75,000 products on environmental performance. These innovations and others all mark the beginning of a new era of radical transparency where the power is shifting from producer to consumer, as new information and resources become available to separate companies that are truly green from those that greenwash. 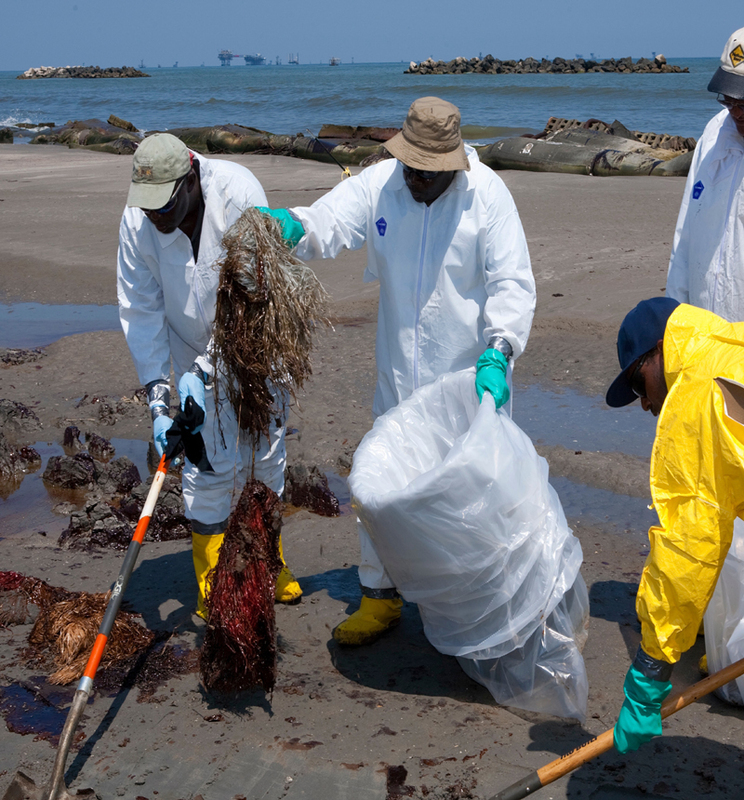 BP’s CEO Tony Hayward has pledged “to clean up every drop of oil” off the oil-soaked shore and to put the “Gulf coast right as fast as we can.” Since April 20th, BP has spent over $800 million responding to the spill. BP’s stock price has dropped over 25% during this period, eroding nearly $25 billion in market value. On the wall of Bavaria’s cluttered Boston office was a sign that read: “Life is a test. It is only a test. If this were your real life, you would have been given better instructions.” She was put to the test in 1990 as she visited Prince William Sound on the first anniversary of the Valdez spill and wrote: ”The extent of the damage is still disputed and probably will be forever. But one thing was crystal clear: such disasters need not happen, they must not happen, and we must not let time heal this wound so well that we forget the tears, the tragedy, and bet again on luck to pull us through.” This message rings as true today as it did in 1989. While the tragedy of the Gulf oil spill itself cannot be undone, let’s hope that Mr. Hayward is prepared to follow through on his original commitments and follow Joan’s advice of 21 years ago as he deals with the aftermath of clean-up and compensation. Mark Tulay worked for Joan Bavaria at Boston-based CERES as the organization’s first full-time employee beginning in the 1990’s. He has worked in the environmental movement for over 15 years and is the Founder and CEO of Sustainability Risk Advisors, a consulting firm that advises non-profit organizations and institutional investors on sustainability related issues. What Can You Do With Electronic Waste?